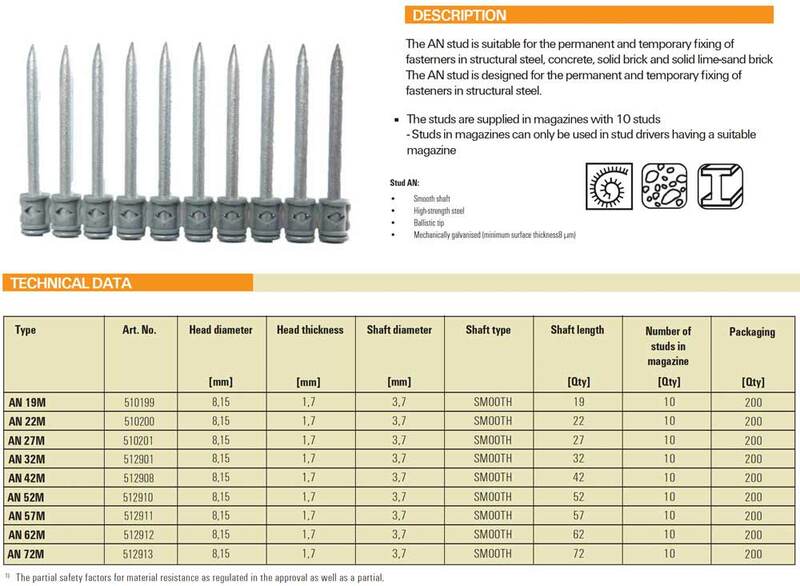 The knurled shaft of the Stud ANS is built from high-strength steel, mechanically galvanised (minimum surface thickness 8 μm) and with ballistic tip for maximum holding force in steel. It can be used for Stud Driver AM 35 and AM 60. 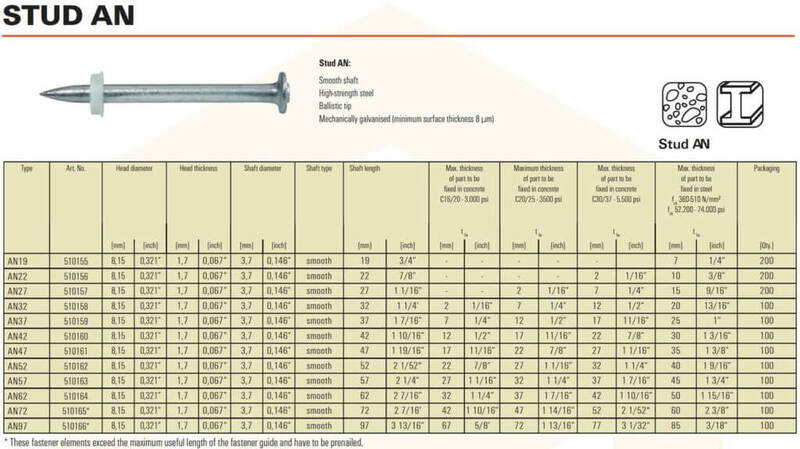 The knurled shaft of the Stud ANC is built from high-strength steel, mechanically galvanised (minimum surface thickness 8 μm) and with ballistic tip for maximum holding force in steel. It can be used for Stud Driver AM 35 and AM 60.